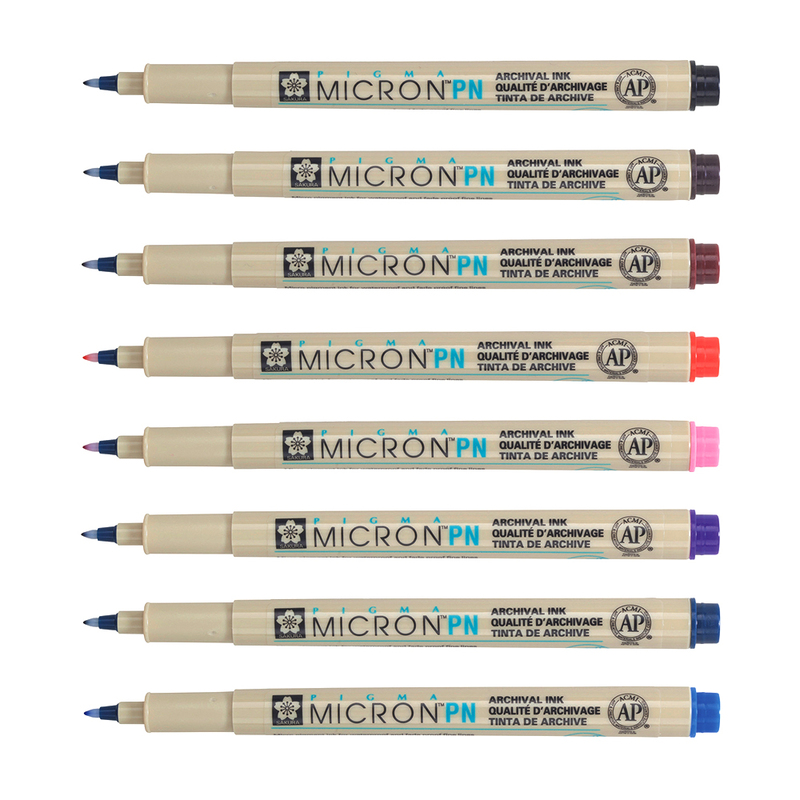 The Sakura Pigma Micron PN Pen is a brilliant new addition to the Micron family. 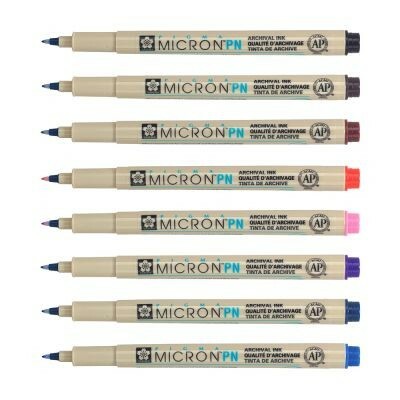 Filled with the same lightfast, archival ink as their fineliner cousins, these pens have the added benefits of a durable polyacetal plastic nib and offer brilliant ink flow. 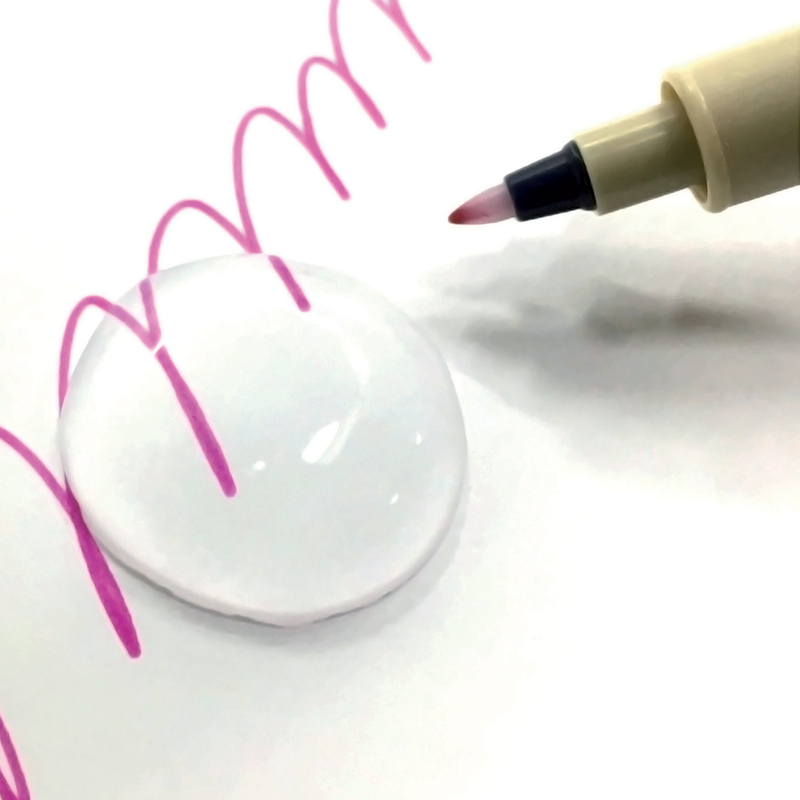 The PN pen creates lines of varying widths, from medium to fine, depending on your writing style an how much pressure is applied. These pens are great for everyday writing, whether you are left or right handed. Now available in 8 colours; Blue Black, Burgundy, Sepia, Pink, Purple, Red, Blue and Black.